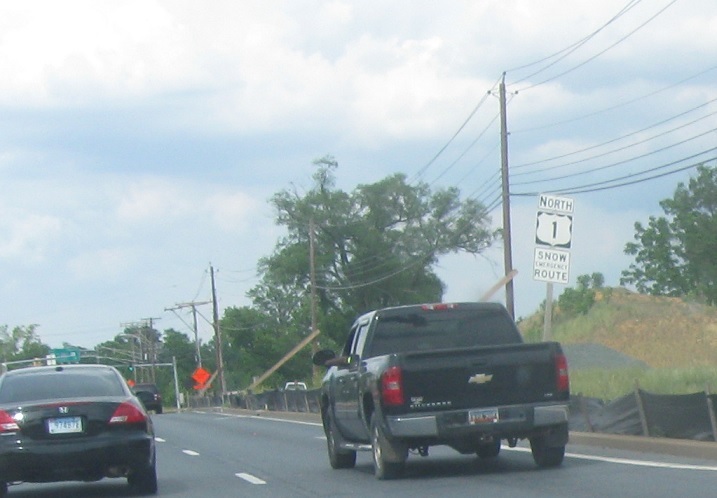 Reassurance shield after the I-195 junction. Just after that, exit to stay on US 1 north. 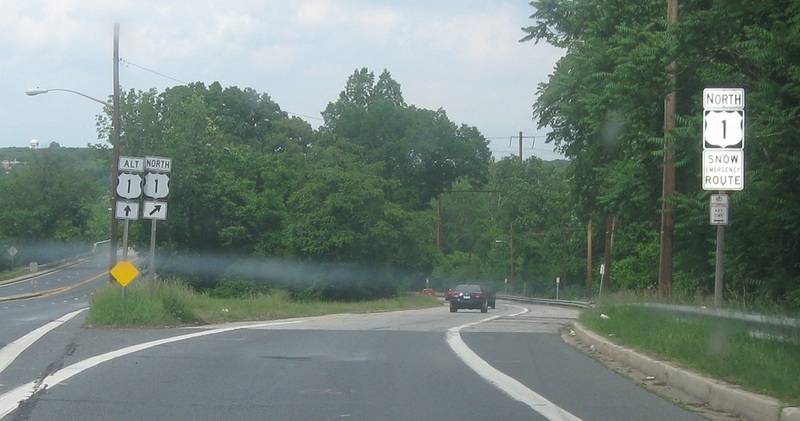 Washington Blvd transitions to 1 Alt. 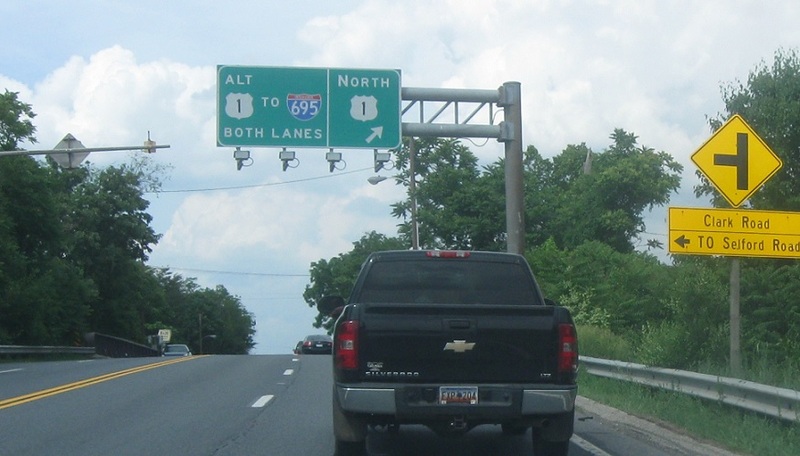 Exit to continue on mainline 1 north as 1 alternate begins.